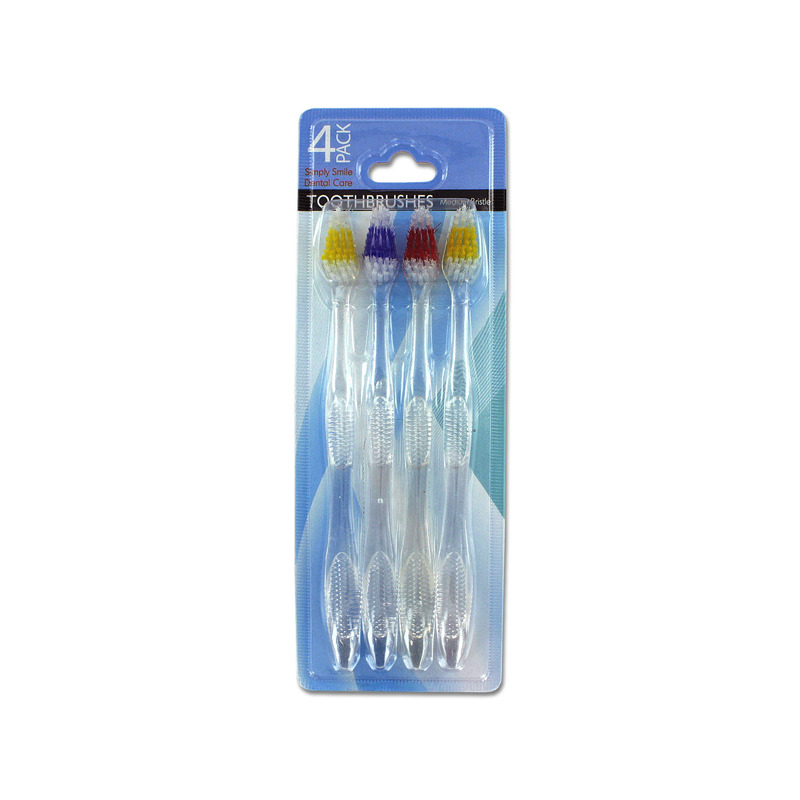 Perfect for gentle yet thorough cleaning, this 4-piece Medium Bristle Toothbrush Set features clear acrylic curved comfort grip handle toothbrushes. Handles designed to be large at the palm grip and narrow for the fingers grip. The triangular shaped head has round end and white nylon bristles that are waved for longer outside length where needed. The colorful centers are blue, green, red and yellow for identification. The full length is approximately 7 1/4" and the head is 1 3/16" long with a 7/16" bristle length. Comes packaged in a blister pack.